From the family, Amaryllidaceae, having common name(s) associated with the genus; Amaryllis crossed with Crinum. 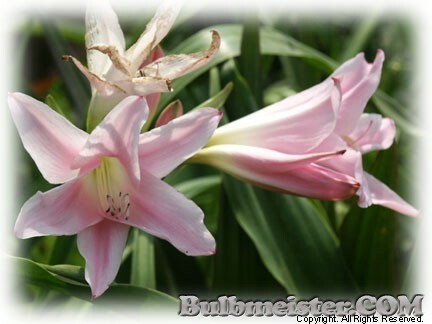 (Amaryllis belladonna x Crinum moorei, xAmarcrinum howardii) Having form and function like Crinum and a flower character, sweetly scented, like Amaryllis. Ht. 24-32 inches. Hardy in zones (8), 9, 10.